Carbon Steel Handcuff (Phc-s01) that we offer is manufactured and tested using the latest techniques with the objective of eliminating each and every possibility of defect. Our Carbon Steel Handcuff is tested on various parameters so as to ensure its quality and durability. We are an experienced name, which is counted among the top Manufacturers, Exporters and Suppliers of Carbon Steel Handcuff. 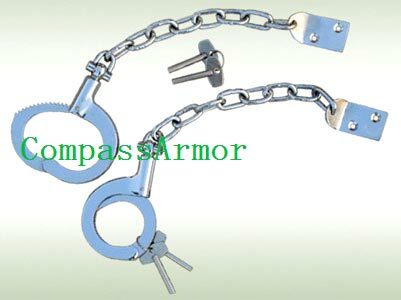 We are efficient enough to process retail as well as bulk orders for the handcuff even at short notice period.